In light of this remark, a mutual friend of ours approached Smoot about a proposed “canon” on Book of Mormon historicity. Smoot brought me into the loop, and we bashed our heads together and came up with this list. Before presenting the list, a few points of clarification. First, not all of these are related to “historicity,” strictly speaking. Some deal with antiquity, or the dating of the text, while others deal with the original authorship, meaning who wrote the text, while others are related to the original language the text was written in. These matters tend to get conflated in Book of Mormon arguments, and understandably so as they are inseparably connected in important ways. For example, Joseph Smith can’t be the author if the original language is Egyptian or Hebrew, and it can’t be modern yet be historical. Nonetheless, they are not identical and it is important not to confuse arguments for one as arguments for the others. I use “authenticity” as an umbrella term for these issues. So, this is a list of “standard works” on Book of Mormon authenticity, and not just historicity. Second, I have divided the list into “primary” and “secondary” resources. This division is entirely my own and not reflective of Smoot’s thinking on this matter. I do this to distinguish from sources that are directly related to some aspect of authenticity, versus sources that exploring some other topic which then provides some evidence for authenticity. For example, analysis of King Benjamin’s speech as an ancient Israelite festival is secondary, as its focus is understanding the speech, but in doing so it provides evidence for antiquity. I do this to help provide some guidance in approaching this topic, but although the primary list forms the foundational readings, no one should make the mistake of thinking that the secondary readings can be ignored when trying to deal with this topic. This leads into the third point, which is that this list is not comprehensive. Establishing a “canon” is always a tricky task, as it necessarily draws a line and leaves other things out. But that should not be taken to mean that everything left off can safely be ignored. The primary list provides the foundation, the secondary list adds important studies that offer relevant evidence, and more could be added to both. This list will get you started, but not finished. Finding additional, relevant works gets easier as you start digging in, but in general you can search the past issues of Journal of Book of Mormon Studies, Mormon Studies Review, BYU Studies Quarterly, and Interpreter: A Journal of Mormon Scripture (though, still being new, there is not a lot in this vein just yet). Also peruse To All the World: The Book of Mormon Articles from the Encyclopedia of Mormonism and the Book of Mormon Reference Companion. I should also like to add, as a caveat, that a works appearance here does not necessarily signal agreement, whole or in part, from me with either the arguments or conclusions. Although I agree, for the most part, with many of them, I also have disagreements with many of them, and some of them I might entirely disagree with. They are listed here due the importance or significance they have had on matters of Book of Mormon authenticity, and as such should be consulted by those interested in the subject, and certainly ought to be engaged by those seeking to challenge the authenticity of the Book of Mormon. With all of that said, here is what we came up with. These are arranged basically in chronological order. I should also add that, in keeping with the point of Smoot’s quote, only works arguing that the Book of Mormon is authentically ancient and historical are included. This is meant as the “canon” or “standard works” for Book of Mormon authenticity. The Collected Works of Hugh Nibley, Volumes 5, 6, 7, 8: All those interested in exploring the authenticity of the Book of Mormon should start with Hugh Nibley, although it must be recognized that much (but, I stress, not all) of his work is now out of date, and Nibley tends to repeat himself across these four volumes. Nibley is, for all intents and purposes, the father of all efforts to explore the Book of Mormon’s authenticity. These volumes bring together his works on the Book of Mormon, originally published from the late ’40s into the twilight of the ’80s. Lehi in the Desert is the first serious effort to examine the Book of Mormon against its claimed historical background, and for being about 65 years old at this point, I’d say it has aged well. Lynn M. Hilton and Hope Hilton, “In Search of Lehi’s Trail – Part 1: The Preparation,” 32-54 and “In Search of Lehi’s Trail – Part 2: The Journey,” 34-63 in Ensign, September and October 1976: I only recently read the Hiltons articles myself. I long thought that so much new research had been done since then, which I had already read, so what need was there to go back and read these? Well, I must say, I’m glad I did. The Hiltons were the first Latter-day Saints to explore the setting that Nibley had laid out. They provide a wealth of detail of what life was like on the Arabian Peninsula, some which, while not directly relevant to the Book of Mormon, may help in painting a picture for the reader. And although much, like with Nibley, is now out of date, I was personally surprised at how much I still found useful and relevant. While you certainly can’t be solely dependent on the Hilton’s, I honestly think the reader who overlooks them is missing out. Richard Lloyd Anderson, Investigating the Book of Mormon Witnesses(Salt Lake City, UT: Deseret Book, 1981): Anderson’s study of the lives and testimony of the Book of Mormon witnesses remains a fascinating and enjoyable read to this day. It also remains as the seminal study on the witnesses at present, though Anderson has up-dated and responded to critics on the topic in several articles since the early ’80s. Anderson shows the witnesses to be both honest and reliable, and that their is no evidence to support the notion that any one of them ever denied their testimony, despite, at times, good reason to. C. Wilfred Griggs, “The Book of Mormon as an Ancient Book,”75-101: First Griggs draws on non-LDS scholar Morton Smith for a discussion of proper methodology in dating a purported ancient text. Then, Griggs attempts to apply this method to the Book of Mormon, or at least a portion of it. Griggs draws on a ritual text from Greece that scholars believe traces back to Egypt, around the seventh-century BC. The text was written on gold plates, and is instructions on how to navigate the afterlife. In the text, the deceased traveler wonders in darkness, seeks divine guidance, is told to avoid a lake and river associated with death, and is lead to a river, lake, and tree that represent life. Griggs compares this with 1 Nephi 8, naturally. Eugene England, “Through the Arabian Desert to a Bountiful Land: Could Joseph Smith Have Known the Way?” 143-156:Not well known for being an apologist, England employs the work of the Hilton's on a more explicit argument for Book of Mormon historicity, coupled with a survey of early 19th century gazetteers and travel accounts to show that understandings of Arabia in Joseph Smith's day were at best inadequate, at worst inaccurate. Wayne A. Larson, and Alvin C. Rencher, “Who Wrote the Book of Mormon? An Analysis of Wordprints,” 157-188: The first stylometric analysis, or “wordprint” study, done on the Book of Mormon. Using statistical models to test authorship claims, Larson and Rencher determined that the Book of Mormon contained writings from over 24 individuals, none of whom were Joseph Smith nor any of his contemporaries. John L. Sorenson, An Ancient American Setting for the Book of Mormon (Salt Lake City, UT: Deseret Book and FARMS, 1985, reprint 1996): The seminal study of the Book of Mormon in ancient Mesoamerica. Sorenson draws the contours of Nephite lands, per the text, and then shows that Mesoamerica is a matching picture. Sorenson then vividly paints a picture of Nephite life in Mesoamerica, situating the Book of Mormon events in the Mesoamerican world. No person interested in Book of Mormon historicity can skip this one. Paul Y. Hoskisson, “Textual Evidences for the Book of Mormon,” inFirst Nephi: The Doctrinal Foundation, Book of Mormon Symposium Series: Volume 2, Monte S. Nyman and Charles D. Tate Jr., eds. (Provo, UT: BYU Religious Studies Center, 1989; reprint, Greg Kofford Books, 2007), 283-295: In a much neglected study, Hoskisson tries to parse between what he calls necessary and sufficient evidence for the Book of Mormon’s textualvorlage, a technical German word used by scholars in reference to a (often lost) original text from which the present text is descended. In carefully trying to weed out any constructs or textual features which are found in the KJV, or any other English and even Germanic precedents (a step which, I would reason, is beingoverly cautious), which he deems as necessary evidence, Hoskisson searches forsufficient evidence – evidence that sufficiently supports a Hebrew original text due to its uniqueness as a Hebrew-like construct not found anywhere in English. Hoskisson’s study is more important for its demonstration of methodological constraint than any actual results. H. Curtis Wright, “Ancient Burials of Metal Documents in Stone Boxes,” in By Study and Also By Faith: Studies in Honor of Hugh W. Nibley, 2 volumes, John M. Lundquist and Stephen D. Ricks, eds. (Salt Lake City, UT: Deseret Book and FARMS, 1990), 2:273-334: Wright has done some of the most through research (out of anybody, LDS or non-LDS) on the practice of writing on metal plates in antiquity, and adds to that practices of burying them in stone boxes, just as was done with the Book of Mormon. John A. Tvedtnes, “The Hebrew Background of the Book of Mormon,” in Rediscovering the Book of Mormon: Insights You May Have Missed Before, John L. Sorenson and Melvin J. Thorne, eds. (Provo, UT: 1991),77-91: Numerous scholars, both before and since this paper by Tvedtnes, have argued that Book of Mormon text betrays the characteristics of a Hebrew original. This paper is sufficiently representative for the purposes of this list, though anyone seriously interested in this should look into other similar treatments as well. Review of Books on the Book of Mormon 6/1 (1994): A special issue of theReview, dedicating to responding to the critical studies published in New Approaches to the Book of Mormon, edited by Brent Lee Metcalf. As such, it runs through the whole gamut of arguments over the Book of Mormon’s authenticity and thus serves as an important resource on the topic which should be consulted. Warren P. Aston and Michaela J. Aston, In the Footsteps of Lehi: New Evidence of Lehi’s Journey across Arabia to Bountiful (Salt Lake City, UT: Deseret Book, 1994): The Aston’s are the second pair of Latter-day Saints to try and retrace Lehi’s steps in Arabia. Digging up information about Nehem, a tribal territory in southwest Arabia that the Aston’s (at the time) traced back to the first century AD, they persuasively argue that this area fits the Book of Mormon description of Nahom. They also scour the entire coast along the fertile Dhofer region to find a match to the Arabian Bountiful, using 12 criteria from the Book of Mormon. They indeed find a match at Khor Kharfot, which remains the best candidate for Bountiful today, in my view. Noel B. Reynolds, ed., Book of Mormon Authorship Revisited: The Evidence for Ancient Origins (Provo, UT: FARMS, 1997): Meant as a follow-up to Book of Mormon Authorship, above, this is a series of studies by several of the most prominent Book of Mormon scholars which all have direct bearings on questions of authenticity. The entire volume ought to be consulted and carefully considered by those interested in the topic, or seeking to engage LDS scholarship on the matter. John A. Tvedtnes, John Gee, and Matthew Roper, “Book of Mormon Names Attested in Ancient Hebrew Inscriptions,” Journal of Book of Mormon Studies 9/1 (2000): 40-51: In addition to “Hebraisms,” another type of linguistic argument relies on the personal names found in the text. This article shows that several non-Biblical Book of Mormon names are now attested in ancient Hebrew inscriptions, shedding light on linguistic origins and antiquity of the text. John A. Tvedtnes, The Book of Mormon and Other Hidden Books: “Out of Darkness Unto to Light” (Provo, UT: FARMS, 2000): Tvedtnes shows how the coming forth of the Book of Mormon fits several ancient Jewish and Christian motifs, from hidden books delivered by angels, to writing on metal plates and storing in stone boxes, the Book of Mormon fits remarkably well. Kevin Christensen, “Paradigms Regained: A Survey of Margaret Barker’s Scholarship and its Significance for Mormon Studies,”Occasional Papers 2 (Provo, UT: FARMS, 2001): Margaret Barker is a non-LDS scholar who has proposed an entirely new paradigm for pre-exilic Israelite theology which has fascinating implications for the authenticity of the Book of Mormon. Christensen here introduces Barker’s work to an LDS audience and discusses how this paradigm sheds light on, and gives weight to, Book of Mormon claims. Warren P. Aston, “Newly Found Alters From Nahom,” Journal of Book of Mormon Studies 10/2 (2001): 57-61: While brief notes on the subject had already appeared in an earlier issue of the JBMS (8/1, 1999) and even the Ensign(and had even been mentioned over the pulpit at General Conference! ), this paper is the first detailed report on the NHM altars written to an LDS audience. These altars established, definitively, that the tribe and territory of Nehem, or Nihm, did in fact exist when Lehi and his family were supposed to have traveled through Nahom. As such, many have hailed these finds as the first definitive evidence for a previously unknown Book of Mormon place. Treatment by critics up to this point has been woefully inadequate to address this powerful evidence. Donald W. Perry, Daniel C. Peterson, and John W. Welch, eds., Echoes and Evidences of the Book of Mormon (Provo, UT: FARMS, 2002): This volume sums up the scholarship arguing for Book of Mormon authenticity up to about 10 years ago. As such, it provides the most up-to-date overview on the topic at this point, and thus proves to be an invaluable resource for anyone interested in studying the topic. George Potter and Richard Wellington, Lehi in the Wilderness: 81 New, Documented Evidences That the Book of Mormon is a True History (Springville, UT: Cedar Fort, 2003): The latest Latter-day Saints to explore the Arabian desert to lay out the setting of the first book in the Book of Mormon. Potter and Wellington’s quest began when they, by happenstance, found Wadi Tayyib al-Ism, a fitting candidate for the Valley of Lemuel which remains our best fit to the text at present. John W. Welch, David Rolph Seely, and Jo Ann H. Seely, eds., Glimpses of Lehi’s Jerusalem (Provo, UT: FARMS, 2004): Several scholars of the ancient Near East explore Jerusalem and its environs around the time of Lehi. Provides lots of historical background. The situation described in the early chapters of 1 Nephi proves to fit that context with incredible accuracy, strongly suggesting that it is a genuine text from that that era. Daniel C. Peterson, “Editor’s Introduction – Not So Easily Dismissed: Some Facts for Which Counterexplanations of the Book of Mormon Will Need to Account,” FARMS Review 17/2 (2005): xxii-xxiv: Peterson summarizes various evidences for the Book of Mormon, focusing primarily on the findings of Royal Skousen in his work with the critical text, showing how the origins of the Book of Mormon are difficult to account for by the critics various theories. John E. Clark, “Archaeology, Relics, and Book of Mormon Belief,”Journal of Book of Mormon Studies 14/2 (2005): 38-49 and John E. Clark, “Archaeological Trends and the Book of Mormon Origins,” inThe Worlds of Joseph Smith: A Bicentennial Conference at the Library of Congress, John W. Welch, ed. (Provo, UT: BYU Press, 2006), 83-104: I count these two papers as one because they are really just two different versions of the same paper, but there are enough differences in them that they both ought to be read and consulted. In these works, Clark, a professional Mesoamerican archaeologist, argues that the trends of archaeology are moving toward, not away from, confirmation of the Book of Mormon. Margaret Barker, “Joseph Smith and Preexilic Israelite Religion,” inThe Worlds of Joseph Smith: A Bicentennial Conference at the Library of Congress, John W. Welch, ed. (Provo, UT: BYU Press, 2006), 69-82: In light of Kevin Christensen’s paper, listed above, one might naturally wonder, what does Margaret Barker actually think about the Book of Mormon. Well, wonder no more. Here, Barker, a non-Mormon, I remind you, asks the question: does the Book of Mormon fit the context of Jerusalem ca. 600 BC, as she reconstructs it? And, she answers in the affirmative. A non-LDS scholar arguing that the Book of Mormon fits its claimed historical context? Yeah, I would say that is definitely required reading on the subject. Daniel C. Peterson, “Mormonism as a Restoration,” FARMS Review18/1 (2006): 394-406: This article is not dedicated exclusively to the Book of Mormon, but I have only given the page range of the Book of Mormon section, which makes up the largest portion of the article. Peterson brings together the vast scholarship related to the issue with very brief summaries, and altogether makes a compelling, though much too brief, case for the authenticity of the Book of Mormon. S. Kent Brown and Peter Johnson, ed., Journey of Faith: From Jerusalem to the Promised Land (Provo, UT: Neal A. Maxwell Institute for Religious Scholarship, 2006): Commentary on the setting of the Book of Mormon’s opening chapters, expanded from the original DVD version. This adds yet unique insights into the Arabian setting of the Book of Mormon. Journal of Book of Mormon Studies 15/2 (2006): A special issue on the Arabian setting for the Book of Mormon, including articles from Warren P. Aston, George Potter and Reichard Wellington, and S. Kent Brown, with responses from Jeffrey R. Chadwick and David A. LeFevre, plus a review of the scholarship on the topic. I know the number of treatments of the Book of Mormon in Arabia I am recommending might seem like overkill, but there are reasons for it. 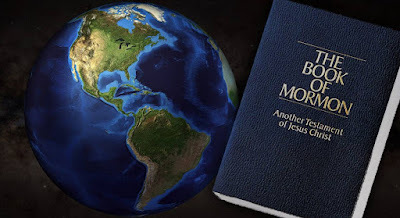 First, that is where the best evidence for the Book of Mormon can currently be found, and second, each of these treatments has both its own strengths and its own weaknesses, such that I cannot confidently recommend any one of them as the number one go to source on the matter. While means more reading to do, it also means more learning, and a broader perspective. S. Kent Brown, “The Hunt for the Valley of Lemuel,” Journal of Book of Mormon Studies 16/1 (2007): 64-73: As the latest treatment of the issue, is essential reading. Brown reviews the various proposals for the Valley of Lemuel, and responds to criticisms of the candidate suggested by Potter and Wellington, Wadi Tayyib al-Ism, concluding that it is indeed our best current candidate for the Valley of Lemuel. D. Jeffrey Meldrum, and Trent D. Stephens, Who Are the Children of Lehi? DNA and the Book of Mormon (Salt Lake City, UT: Greg Kofford Books, 2007): The best treatment of the DNA issue for the non-scientist. Provides a good overview, and helps frame the issue in a faith-promoting way. Will make it easier for the layperson to wrap their head around it, and will even makes it easier to understand the more technical treatments of subject by providing that important foundation. Donald W. Perry, Poetic Parallelisms in the Book of Mormon: The Complete Text Reformatted (Provo, UT: Neal A. Maxwell Institute for Religious Scholarship, 2007): While this advances no actual arguments for the authenticity, except for some brief remarks in the front matter, this illustrates the textual complexity of the Book of Mormon in the most forceful way possible. Shear number (1,631, by my count) of poetic parallelisms in the Book of Mormon is breathtaking. What’s more, all 23 literary features identified by Perry are characteristic of ancient Hebrew writing, as discussed in the front matter. These complex, ancient features of the text need to be accounted for by anyone making arguments against the authenticity of the Book of Mormon. Warren P. Aston, “Identifying Our Best Candidate for Nephi’s Bountiful,” Journal of Book of Mormon and Restoration Scripture17/1-2 (2008): 58-64: Given the competing proposals for Bountiful presented by himself, Potter and Wellington, and other researchers, Aston reviews the proposals and weighs them against the criteria in the text. Unsurprisingly, Aston comes down in favor of his own proposal, Khor Khorfot. Despite its predictability, this article is important as the most recent and up-to-date discussion of the evidence for Bountiful in Arabia. Daniel C. Peterson, ed., The Book of Mormon and DNA Research(Provo, UT: Neal A. Maxwell Institute for Religious Scholarship, 2008); plus Ugo A. Perego, “The Book of Mormon and the Origin of Native Americans from a Maternally Inherited DNA Standpoint,” FARMS Review 22/1 (2010): 191-227, reprinted in No Weapon Shall Prosper: New Light on Sensitive Issues, Robert L. Millet, ed. (Provo, UT: BYU Religious Studies Center, 2011), 171-216: When it comes to accessibility to the average reader, these papers are uneven. Some are easier, others harder to understand. But, they provide greater depth, and probe different angles, than the Meldrum and Stephens volume does, and so this volume proves to be equally important. Along with the papers in this volume, the paper by Ugo Perego is the most recent and up-to-date treatment of the subject, published after this volume was compiled, and as such must also be taken into consideration. Kevin Christensen, “Hindsight on a Book of Mormon Historicity Critique,” FARMS Review 22/2 (2010): 155-194: Christensen reviews a critique of Book of Mormon historicity from 1982 for the purpose of gaining some perspective on just how far we come. Christensen shows how many of the issues raised at that time have since been resolved, while yet others show the promise of future resolution. Steven C. Harper, “Evaluating the Book of Mormon Witnesses,”Religious Educator 11/2 (2010): 37-49: So far as I am aware, this is the most recent and up-to-date treatment of the Book of Mormon witnesses by a Mormon historian. Harper evaluates the first-hand statements by the witnesses, noting that all first-hand evidence supports and affirms their testimonies and critics often must rely on second-, or third-hand statements, or sometimes yet even more dubious sources. In the process, Harper responds to critics like Grant Palmer and Dan Vogel. Paul J. Fields, G. Bruce Schaale, and, Matthew Roper, “Examining a Misapplication of Nearest Shrunken Centroid Classification to Investigate Book of Mormon Authorship,” Mormon Studies Review23/1 (2011): 87-111 or Paul J. Fields, G. Bruce Schaale, and Matthew Roper, “Stylometric Analyses of the Book of Mormon: A Short History,”Journal of Book of Mormon and Other Restoration Scripture 21/1 (2012): 28-45: I have read both of these, but never compared them. So far as I could tell, though, there were no substantive differences, so in this case it is an either/or – but you should definitely read at least one. Fields et al. provide a useful review of past stylometric analyses, or wordprint studies, then thoroughly debunk a more recent effort to support the Rigdon/Spaulding theory with such analysis, and then report on the results of a modified, and innovative method stylometric analysis which shows neither Joseph Smith, nor his close contemporaries to be the authors of the text. Warren P. Aston, “A History of NaHoM,” BYU Studies Quarterly 51/2 (2012): 78-98: Reviews past LDS discussion of the NHM/Nahom connections, updates a few things (the altars are actually older than we have been saying they are!) and adds information about other inscriptions on palm leaf stalks and other items which mention NHM and tentatively date to between 700-300 BC (those are dates I extrapolated from data in the article, not dates he actually gives explicitly). John L. Sorenson, Mormon’s Codex: An Ancient American Book (Salt Lake City, UT: Deseret Book and the Neal A. Maxwell Institute for Religious Scholarship, 2013): Sorenson’s magnum opus, an 800 page tome reflecting the summation of 60 years of study on relationship of Mesoamerica and the Book of Mormon. No doubt that such work from the preeminent advocate for the Mesoamerican setting for the Book of Mormon deserves to be taken seriously. Brant A. Gardner, Traditions of the Fathers: The Book of Mormon as History (Salt Lake City, UT: Greg Kofford Books, forthcoming): I didn’t put Gardner’s important 6 volume commentary, Second Witness: Analytical and Contextual Commentary on the Book of Mormon, (Salt Lake City, UT: Greg Kofford Books, 2007-2008), on this list because it is huge, expensive, and the details about authenticity are scattered. But Gardner’s views on the matter must be consulted, and until this volume comes out, that will necessarily have to be done throughSecond Witness. When this book does come out, though – and I mean no disrespect to Sorenson and his newly released volume in saying this – it will be the most important volume on the Book of Mormon in Mesoamerica, and perhaps the most significant work on Book of Mormon historicity altogether, yet to be published. Trust me when I say you are going to want to keep your eyes open for this. Like the primary list, these will be in chronological order, more or less. I admit that, arguably, some of these belong of the primary list. Make lists like this are always somewhat arbitrary. I tried to (a) keep the primary list as short as possible (as it is, it’s much longer than I hoped it would be), and (b) focus on these works I felt were most important and relevant. There is, of course, plenty of room for disagreement. Hopfully, this secondary list will help fill any voids others perceive in my primary list. In general, the annotations here will be less detailed. Journal of Book of Mormon Studies 4/1 (1995): This special issue of theJBMS is dedicated to the work of Sydney B. Sperry, after whom a symposium has been named. Sperry’s publications on the Book of Mormon, as represented in this volume, spanned from the mid-’30s to the mid-’70s, just a few years before his death in 1977. Sperry was not as prolific as Nibley was (see above), nor was his work as focused on the authenticity and historicity of the Book of Mormon as Nibley’s was, nor is his work as important or as lasting as Nibley’s. Nonetheless, he made a few contributions to this field of study, most of which are in this volume. That which was not included here may still be interesting and worthwhile for the die-hard researcher or enthusiast, but all that is necessary is here in this issue of the JBMS. Not all the articles included in this volume relate to the matters authenticity, but several do. Alan Goff, “A Hermeneutic of Sacred Texts: Historicism, Revisionism, Positivism, and the Bible and Book of Mormon,” (Master’s Thesis, Brigham Young University, June 1989): If it weren’t for the fact that this is so hard to get a copy of, I would put this on the primary reading list. Goff challenges the undergirding assumptions of many who dismiss the historical grounds of the Book of Mormon and shows how several hermeneutic approaches reveal a complexity in the text, and also shows that the book uses ancient imagery. John W. Welch, ed., Reexploring the Book of Mormon: A Decade of New Research (Provo, Utah: FARMS, 1992): Collects the Research updates of FARMS during the 1980s, several of which deal with antiquity or other aspects of authenticity. Stephen D. Ricks and William J. Hamblin, ed., Warfare in the Book of Mormon (Provo, UT: FARMS, 1990): Discusses several aspects of warfare in antiquity and shows that the Book of Mormon’s descriptions of war fit both ancient Near Eastern and pre-Colombian expectations. Also details aspects of weaponry and armor, showing that these also fit the ancient setting and addressing anachronisms. John L. Sorenson and Melvin J. Thorne, eds., Rediscovering the Book of Mormon: Insights you May Have Missed Before (Provo, Utah: FARMS, 1991): Several papers from various scholars, one of which made the primary list. Explore various aspects of the text from ancient details to literary qualities, many of which can be used to argue that the book is both ancient and complex, supporting authenticity. Stephen D. Ricks and John W. Welch, ed., The Allegory of the Olive Tree: The Olive, the Bible, and Jacob 5 (Provo, Utah: FARMS, 1994): Scholars explore Jacob 5 from a number of angles, some of which include ancient symbolism and horticulture, showing that Jacob 5 is consistent with both in ways that would have been difficult (if not impossible) for Joseph Smith to have known. Jeffrey R. Holland, Christ and the New Covenant: The Messianic Message of the Book of Mormon (Salt Lake City, UT: Deseret Book, 1997): Elder Holland’s fascinating study of the Book of Mormon’s message about Jesus Christ. Serious reflect that reveals a depth of meaning and power in the book that is hard to believe came from an unlearned farmboy. John L. Sorenson, Images of Ancient America: Visualizing Book of Mormon Life (Provo, Utah: FARMS, 1998): Image-rich volume that further helps the reader visualize the Book of Mormon in Mesoamerica. Offers some supplement to Sorenson’s other works on the primary list. Donald W. Parry and John W. Welch, eds., Isaiah in the Book of Mormon (Provo, Utah: FARMS, 1998):Several scholars discuss the Isaiah chapters in the Book of Mormon, many showing complexity, ancient connections, and discussing the “Isaiah problem” (some scholars argue that certain Isaiah chapters were not written by Isaiah, but a later writer who wrote after the Book of Mormon peoples left Jerusalem). John W. Welch and Stephen D. Ricks, eds., King Benjamin’s Speech: “That Ye May Learn Wisdom” (Provo, UT: FARMS, 1998): Several scholars approach King Benjamin’s address, many making ancient and linguistic connections to covenant renewal ceremonies, annual festivals, coronation rituals, and more. Daniel C. Peterson, “Nephi and His Asherah: A Note on 1 Nephi 11:8-23,” in Mormons, Scripture, and the Ancient World: Studies in Honor of John L. Sorenson, Davis Bitton, ed. (Provo, UT: FARMS, 1998), 191-243, or in abbreviated form as Daniel C. Peterson, “Nephi and His Asherah,” Journal of Book of Mormon Studies 9/2 (2000): 16-25, or up-dated and revised as Daniel C. Peterson, “A Divine Mother in the Book of Mormon?” in Mormonism and the Temple: Examining an Ancient Religious Tradition, Gary N. Anderson, ed. (Provo, UT: BYU Studies/USU Religious Studies/Academy for Temple Studies, 2013), 109-125: Three different versions of essentially the same paper, these are similar enough that you one probably only needs to pick one. Peterson shows how ancient Near Eastern conceptions of the divine mother, Asherah, as the tree of life fits into Nephi’s vision of the tree of life and provides a fascinating new light on the interpretation of the text. This strongly suggests that the text is actually from the ancient Near East. John W. Welch, “Doubled, Sealed, Witnessed Documents: From the Ancient World to the Book of Mormon,” in Mormons, Scripture, and the Ancient World: Studies in Honor of John L. Sorenson, Davis Bitton, ed. (Provo, UT: FARMS, 1998), 391-444: In an interesting paper, Welch shows how a fascinating ancient legal practice of copying a document twice, and sealing one part of it in front of witnesses is reflected in the Book of Mormon’s authors description of sealing up the book, and the sealed-portion of the plates. John W. Welch, and Melvin J. Thorne, eds., Pressing Forward with the Book of Mormon: The FARMS Updates of the 1990s (Provo, UT: FARMS, 1999): Collection of the FARMS updates from the 1990s. As with the counterpart volume, Reexploring, many of these deal with ancient connections and other aspects of authenticity. John W. Welch, Illuminating the Sermon at the Temple and the Sermon on the Mount (Provo, UT: FARMS, 1999): Explores the two similar sermons, arguing for a unified interpretation of the Sermon on the Mount (which has been argued to be a collection of miscellaneous sayings, thus a problem for the Book of Mormon) in light of a temple context, which is what we see in 3 Nephi. Welch also argues that the Book of Mormon version makes its unified function as a temple text clear. David A. Palmer, In Search of Cumorah: New Evidences for the Book of Mormon from Ancient Mexico (Springville, UT: Horizon Publishers, 1999): Palmer specifically makes the case that Cumorah and the final battle scenes belong in, and fit into, the Mesoamerican setting. John L. Sorenson, Mormon’s Map (Provo, UT: FARMS, 2000): Sorenson only reconstructs the internal geography in this volume, making no connections to the real world. Nonetheless, it serves as a powerful illustration of the consistency of the Book of Mormon 600+ geographic statements, all scattered throughout the text. This consistency is difficult to account for under the conditions which must be assumed if Joseph Smith wrote the book. Terryl L. Givens, By the Hand of Mormon: The American Scripture that Launched a New World Religion (New York, NY: Oxford University Press, 2002): Provides an overview of how the Book of Mormon has been received by Latter-day Saints and non-Mormons alike overtime. Provides useful background, and includes discussion of both arguments for and against the authenticity of the book. Matthew B. Brown, Plates of Gold: The Book of Mormon Comes Forth (American Fork, UT: Covenant Communications, 2003):Understanding the historical details of the coming forth of the Book of Mormon helps illustrate how difficult it would have been for Joseph Smith to be faking it. Includes discussion of Book of Mormon translation and witnesses, etc. David E. Bokovoy and John A. Tvedtnes, Testaments: Links Between the Book of Mormon and the Hebrew Bible (Tooele, UT: Heritage Press, 2003): Two experts of the Hebrew Bible explore literary patterns, themes, imagery, and structures in the Book of Mormon which fit ancient techniques. John A. Tvedtnes, The Most Correct Book: Insights from a Book of Mormon Scholar (Springville, UT: Horizon Publishers, 2003): A collection of generally short papers on the Book of Mormon by a prolific Hebrew scholar. Many, though not all, have bearing on matters of authenticity. S. Kent Brown, Voices from the Dust: Book of Mormon Insights(American Fork, UT: Covenant Communications, 2004): Brown offers many insights into the Book of Mormon, several of which make connections to antiquity. Kevin Christensen, “Truth and Method: Reflections on Dan Vogel’s Approach to the Book of Mormon,” FARMS Review 16/1 (2004): 287-354: Some important discussion of the role of Paradigms and paradigm choice in the context of debates over Book of Mormon historicity. Brant A. Gardner, “An Exploration in Critical Methodology: Critiquing a Critique,” FARMS Review 16/2 (2004): 173-223: Gardner responds to Earl Wunderli’s critique of the Limited Geography Theory. Gardner shows that the spatial requirements of the text are indeed limited. John W. Welch, The Legal Cases in the Book of Mormon (Provo, Utah: Neal A. Maxwell Institute for Religious Scholarship, 2008): Welch, and attorney and legal scholar who studies ancient Jewish law, explores the legal cases in the Book of Mormon in light of those laws and customs. He shows that the Book of Mormon is impressively consistent with the legal practices of its ancient Near Eastern roots. Grant Hardy, Understanding the Book of Mormon (New York, N. Y.: Oxford University Press, 2010): While Hardy makes no claims to providing evidence or arguments for the Book of Mormon, and in fact attempts to “bracket” the issue of historicity, Hardy nonetheless shows depth and complexity, multiple voices, and insightful readings of the text which make most sense if the book is authentic. Wade E. Miller, Science and the Book of Mormon: Cureloms, Cumoms, Horses & More (Laguna Niguel, CA: KCT & Associates, 2010): Miller is a internationally reputed geologist and paleontologist who is currently working on a project to test currently held assumptions about horses in pre-Columbian America. Here he addresses various anachronous items in the Book of Mormon and discusses potential evidence for them, as well as other possible interpretations. It is unfortunate that this book is so little known and poorly circulated. LeGrand L. Baker and Stephen D. Ricks, Who Shall Ascend into the Hill of the Lord? The Psalms in Israel’s Temple Worship in the Old Testament and the Book of Mormon (Salt Lake City, UT: Eborn Books, 2010): A massive tome wherein Baker and Ricks explore ancient Israelite temple worship in the Old Testament, and then they show connections to the Book of Mormon, lending credence to the idea that the Book of Mormon has ancient Israelite roots. Richard E. Turley Jr. and William M. Slaughter, How We Got the Book of Mormon (Salt Lake City, Utah: Deseret Book, 2011): A history of the various editions of the Book of Mormon, starting with the plates to the original and printers manuscript, down through each main edition of the Book of Mormon put out by the Church. Useful background that can help address some concerns regarding things like changes to the Book of Mormon, etc. Andrew C. Skinner and Gaye Strathearn, eds., Third Nephi: An Incomparable Scripture (Provo, UT: Neal A. Maxwell Institute for Religious Scholarship, 2012): Scholars explore 3 Nephi, showing literary and theological complexity and depth, and some ancient and linguistic connections. Andrew C. Smith, “Deflected Agreement in the Book of Mormon,” Journal of Book of Mormon and Other Restoration Scripture 21/2 (2012): 40-57: Smith discusses the presence of a yet unnoticed Semiticism, primarily characteristic of Arabic, but also found in Hebrew, especially in the Hebrew around the time of Jeremiah, a contemporary of Lehi’s. This list certainly feels exhaustive, though it is far from it. I honestly apologize about how long this ended up being, but there were just too many books and articles that I felt were invaluable to the question of Book of Mormon authenticity. Despite its length, this “canon” should help just about anybody wishing to get familiar with the pro-Mormon scholarship on the historicity, antiquity, linguistic features, and authorship of the Book of Mormon. What’s more, it is my genuine view that any honest treatment of this issue by critics needs to take into account all, or at the very least most of the above, along with several additional works relevant to the subject. What an impressive list! Thank you! This is the most helpful and impressive list I've ever seen. I have been interested in a list like this for a long time now. Thank you very much for taking the time to put that together. Also, as a side note, under Legrand Baker's and Stephen Rick's book "Who Shall Ascend?" I noticed you said that the book lends "credence" to the idea that the Book of Mormon has ancient Israelite roots. I'm sure you meant "credibility". Just couldn't help but notice that.